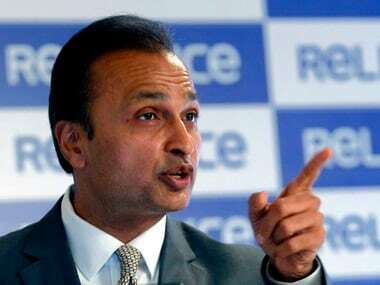 The proceedings of the Rajya Sabha and Lok Sabha were disrupted for the fifth consecutive day on Monday over the Rafale jet deal and multiple issues leading to the Upper House being adjourned till Tuesday and Lower House till 2 pm. 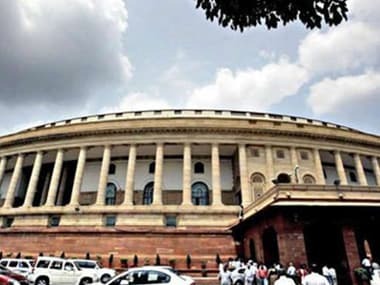 Lok Sabha was adjourned till 2 pm on Monday amid uproar by Opposition members over various issues including Rafale and construction. A fresh bill to make the practice of triple talaq among Muslims a penal offence was also introduced on Monday. As soon as the House took up Question Hour, members from the AIADMK, TDP and Congress rushed to the Well raising slogans. While the AIADMK was raising issues related to construction of a dam over River Cauvery, the Telugu Desam Party (TDP) was demanding special status for Andhra Pradesh. 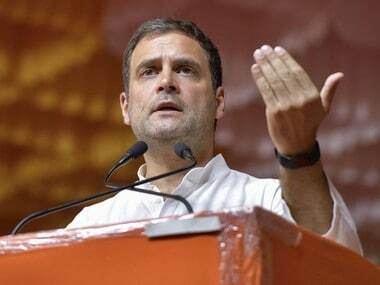 Congress members raised the issue of government's stand in the Supreme Court over the Rafale deal and accused it of misleading the top court. 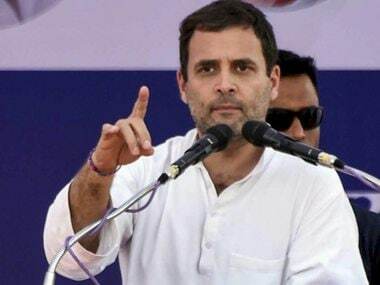 Standing at their benches, BJP members raised slogans such as "Rahul Gandhi apologise" and "Rahul Gandhi chor hai" to counter the Congress offensive. After nearly five minutes of slogan shouting from both sides, House was adjourned till noon around 11.10 am. 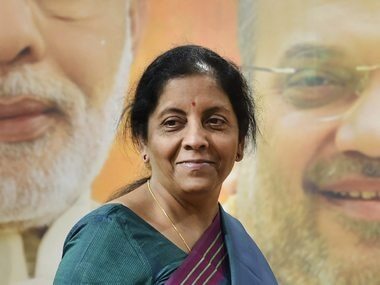 Amid ruckus, Law Minister Ravi Shankar Prasad introduced the triple talaq bill, making the practice of triple talaq among Muslims a penal offence. Congress member Shashi Tharoor opposed the bill claiming it is targetted at a particular religion and hence unconstitutional. "The bill was brought in as per the direction of the Supreme Court," retorted Prasad and said several Muslim women suffered due to instant talaq. The issue of Anti-Sikh riots was also raised by the members, as Sajjan Kumar was convicted to life imprisonment earlier on Monday. Prem Singh Chandumajra of SAD claimed an accused has been nominated as the chief minister of a State, referring to Kamal Nath who will be sworn-in as Madhya Pradesh chief minister shortly. Sumitra Mahajan, the speaker, did not allow him to take names. He also held Congress responsible for the riots to which Congress members objected. The speaker then adjourned the house till 2 pm. Similarly, the proceedings in the Rajya Sabha were disrupted on Monday again over the Rafale jet deal and Cauvery issues, leading to adjournment of the House for the day. Chairman M Venkaiah Naidu adjourned the House within six minutes of assembly as members of Tamil Nadu parties — DMK and AIADMK — stormed into the well of the House and Congress and treasury benches raised slogans. Leader of the Opposition and senior Congress leader Ghulam Nabi Azad said he has given a notice for taking up of a discussion over the government allegedly misguiding the Supreme Court over the purchase of Rafale jets from France. He was countered by slogan-shouting from treasury benches demanding an apology from the Congress after the Supreme Court gave a clean chit to the deal. Naidu cut short Azad, saying his notice has been received but the issue pertains to a subject matter under consideration of the Supreme Court. He then went on to adjourn the proceedings till Tuesday. But before doing that he remarked, "What is going on?" AIADMK and DMK members were in the well seeking a permanent solution to the Cauvery water dispute between Tamil Nadu and Karnataka. Before the ruckus, Naidu said he has admitted a call attention notice on the destruction caused by cyclones in different states. Also, Azad's notice about price rise and the one given by Ramgopal Yadav of the Samajwadi Party and TMC's Derek O'Brien on the agrarian crisis were also admitted. When the House met for the day, Naidu mentioned the accomplishment of PV Sindhu who scripted history by becoming the first Indian woman to win the gold medal at the World Federation Badminton Competition in China. Members thumped desks to congratulate Sindhu on the feat. Monday is the fifth sitting of the Winter Session. While last Tuesday, the two Houses were adjourned for the day after obituary references to former prime minister Atal Bihari Vajpayee and other sitting members, little business was transacted in the two Houses on Wednesday, Thursday and Friday. Parliament met on Monday after the weekend.